Many times creating professional looking PDF documents, collaborating with others to create documents, or viewing PDF documents from the web requires features that are not available in low end PDF tools. 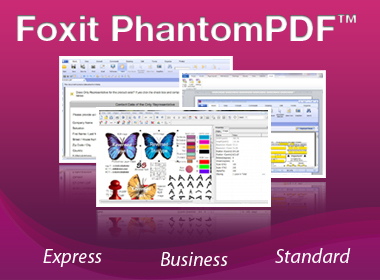 Foxit PhantomPDF Express provides the high end features you need at an affordable price. It is small, incredibly fast, and highly accurate for converting popular file formats to professional quality PDF documents with one click of the mouse, while retaining the look and feel of the original documents. files, you can even create from scanner. Security - Validation of digital signatures and encryption with passwords. Set Document Information - Helps to archive and search PDFs with ease. Email and Phone Support – Helps when you need it.